Mrs Bishop's Bakes and Banter: What was in our March Degustabox? We got a great selection of tasty bits and pieces to try - Bert was especially excited by the Milkybar/Smarties Mini Eggs by Nestle!! This was sent a special little extra in this month's box, for those subscribers who have answered the most monthly surveys. All Natural Chocolate Milk. Refined sugar free and gluten free (best served chilled). This was AMAZING! We shared the one carton between myself, Liam and Connie - we all loved it. Bert had one taste and said 'blergh!' but I think that's because it has a proper deep chocolatey/cacao taste rather than sugary sweet chocolate. Really nice for a grown up version of a chocolate milkshake. Boasting beloved book characters Matilda, the BFG, and Charlie and the Chocolate Factory, the wholesome Roald Dahl range encourages kids' thirst for reading whilst keeping them hydrated. Vegan Approved and low in calories, the gloriumptious drinks contain no GMOs, gluten, added sugars or artificial preservatives making them perfect for lunchboxes. I have very strange children who refuse point blank to drink fruit juice of any kind - so we gave these juice cartons to Bert's best friend at school. I loved the Matilda design on these cartons - they would have excited me so much as a child as Matilda was my favourite book when I was small. Perfect for any Roald Dahl lovers! Be the first in the UK to try Cirio premium peeled plum tomatoes in two new pasta sauce recipes. Made with 100% top Italian ingredients for a genuine and tasty dish. Simply heat through until piping hot and add to cooked pasta. We used this as a pasata for a slow cooked lamb curry dish - and it turned out perfectly. I'm a huge fan of Cirio products they always have really deep authentic flavour - a brilliant staple to have on hand in the pantry. Shreddies Max Granola is a delicious combination of crunchy oat clusters with Shreddies pieces. Made with 74% whole grain, high in fibre and a good source of protein to "maximise" your morning! I am obsessed with breakfast. 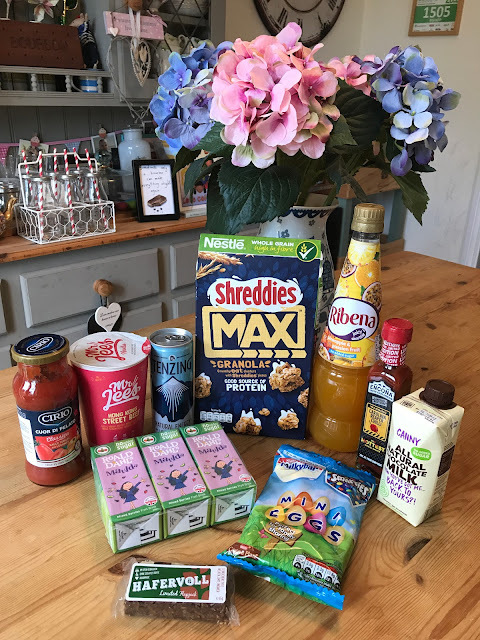 It is BY FAR my favourite meal of the day - I could easily eat breakfast for every meal...cereal is one of my faves, especially a good quality granola or a healthier cereal (I'm not a huge fan of sugary cereal) so I was delighted to unbox this. Shreddies were one of my fave as a kid, my mum used to make it for me with warm milk in the winter, soooooo comforting! This granola was absolutely delicious - so tasty that I ate it for breakfast every day for two weeks until I'd drained the whole box! Smarties and Milkybar have mixed their mini eggs, perfect for sharing with all the family. Okay, so unsurprisingly, these were Bert and Liam's top pick from the whole box - the entire bag had gone in two days!! I went to sneak a couple from the snack box after a few days and they were gone!! GREEDY BOYS!! Mr Lee's is an award-winning range of six premium noodles in a cup, certified gluten free and low in sugar, also low in saturated fats and calories, and with absolutely no nasties! They uniquely use freeze-dried ingredients to ensure that the product locks in the nutrients and the flavour, so the beef tastes like beef, the ginger tastes like ginger, and the bamboo tastes like...well, you get the picture. Vegan options are also available. Liam took this to work for lunch - these 'just add boiling water' style noodle cups are perfect on busy days at the office when he can only spare a few minutes for making lunch, or doesn't have time to prepare something in advance. He's been working his way through trying different premium brand noodle cups and he said this was really delicious. The meat actually tasted meaty and the broth was full of beefy flavour. Hafervoll Flapjacks are the first 100% natural oat bars without added sugar, cheap stuffing or other chemical additives. Gently handmade and oven-baked, they always taste homemade. Another bar that we shared between all four of us - we all love anything cinnamon flavoured and this was no exception! Really tasty and definitely had that homemade feel to it. I was a bit gutted to share it to be honest! Ribena is excited to announce new Pineapple and Passion Fruit to its much loved squash range. This ultimate tasty treat has no added sugar and contains less than 15 calories per 250ml serving. Available to buy from March, Ribena Pineapple and Passion Fruit squash is the perfect tropical accompaniment to meal times. Hubby is the squash drinker here at Chez Bishop, and he gives this flavour combo a big thumbs up - especially for Spring/Summer. TENZING Natural Energy is crafted from six natural ingredients: green coffee, guarana, green tea, Himalayan rock salt, beet sugar and lemon juice. It contains just 55 calories per can and contains absolutely nothing artificial. Inspired by a traditional Himalayan Sherpa recipe! I used to be big into energy drinks in my youth and early twenties (lots of late nights & hangovers!) I'd never think to touch them now, being much more health conscious, I would assume that they are full of sugar and lots of synthetic rubbish - however, having read up about Tenzing it seems to be completely sourced from nature. I was intrigued - it smelt much like the premium brand energy drink (rhymes with head full) but tasted very different - it was fruity and citrusy, but had a slightly sweet and salty tang. I actually really surprised myself and enjoyed it a lot. Explore the ultimate heat and flavour combination of Encona Limited Edition Carolina Reaper Chilli Sauce. This scorching hot blend of the world's hottest chilli pepper, tomatoes and spices will challenge even the bravest of chilli lovers! Why not use in a marinade and create your own hot wing challenge or super charge soups and one-pot dishes by adding a few drops whilst cooking. I'm a BIG chilli fan - so much so that I actually recently spent a whole day on a local chilli ranch here in Bedfordshire. On the ranch I got to see an actual Carolina Reaper chilli plant in the flesh! 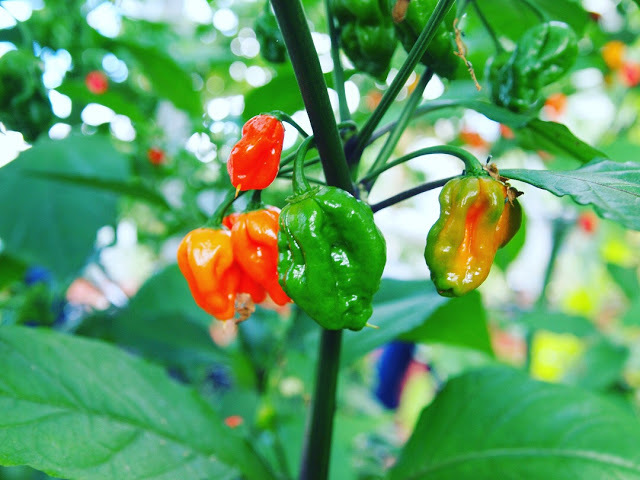 It still holds the record as hottest chilli in the world according to the Guinness World Records - and has an average heat level of 1,569,300 Scoville Heat Units (SHU)!!! That's flipping' hot!! Despite my love of chilli I was still cautious when tasting this sauce for the first time. 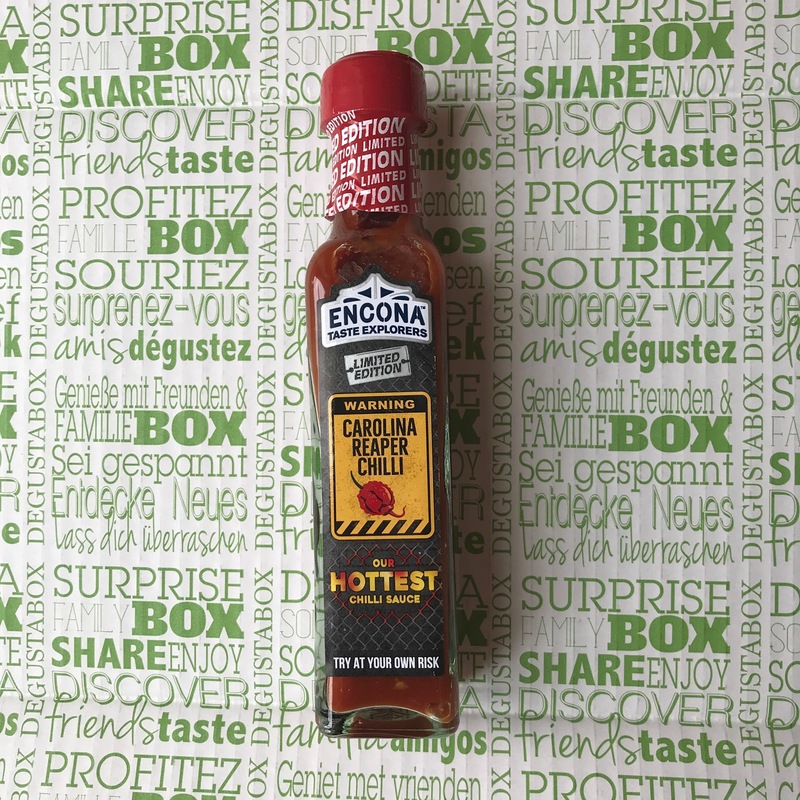 I love the Encona brand and have used many of their products before, and I'm glad to say that this sauce didn't disappoint. Yes, it's hot, but it has so much flavour too! We've enjoyed it with crackers and cheese, and I can't wait to add it to one-pot dishes as Encona suggested. Last but by no means least, and definitely my top pick from this months Degustabx was the.. 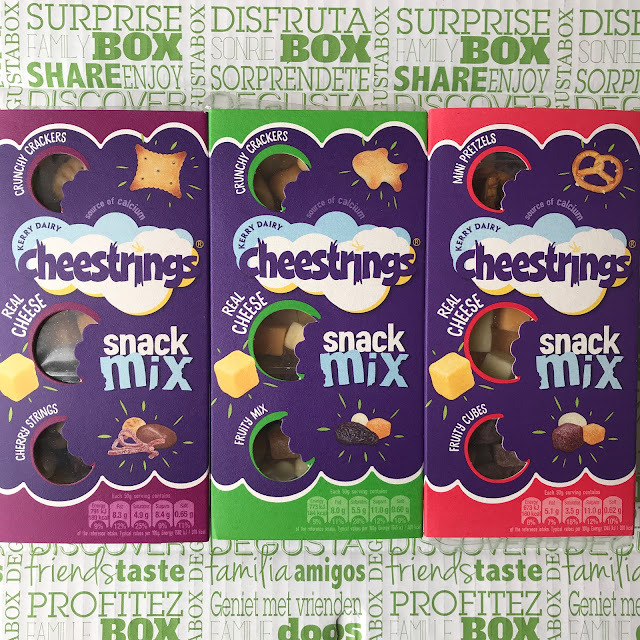 Introducing Cheestring Snack Mix. A 3 in 1 after school snack, built up of 3 individual sections, we encourage you to mix it up with our 3 variants consisting of a crunchy cracker, real cheese cubes and a sweet treat! A perfect snack that meets all your snacking needs. 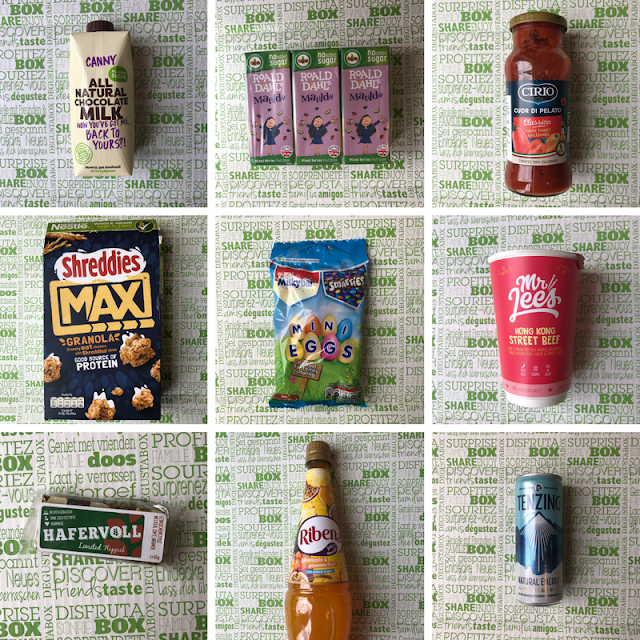 My kids have gone absolutely CRAZY for these snack boxes! 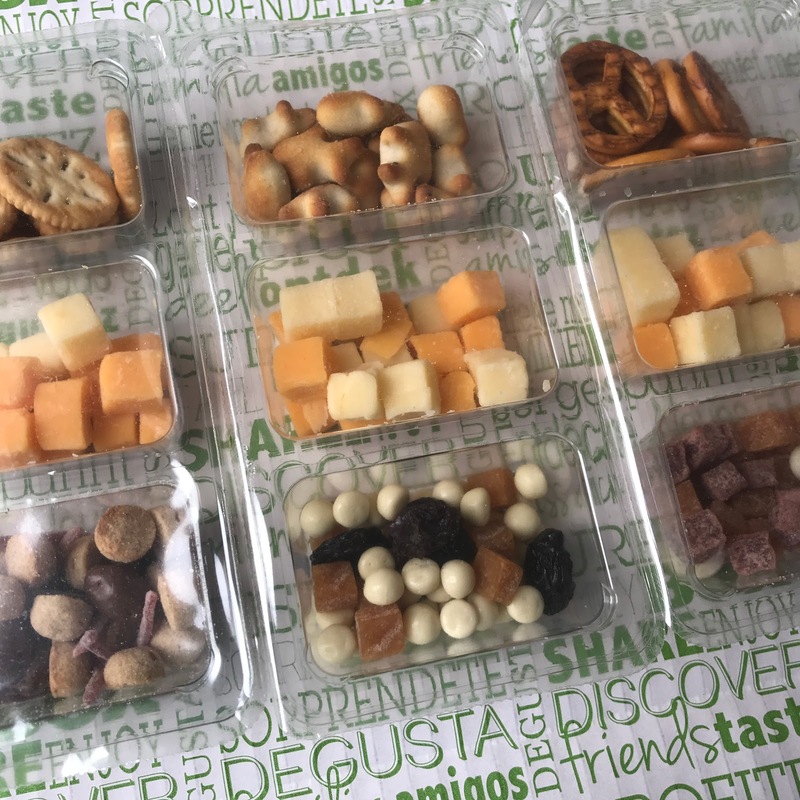 They are so perfect for my little snackaholics, and help me as a parent feel a little less guilty about plying them with snacks in between meals. Bert has been eating them as his after school snack, I just grab one from the fridge on the way out the door on the school run and he gets so excited peeling back the plastic and enjoying the little sections as we saunter back from school. Connie has been eating them as part of her lunch plate - she enjoys a 'snacky' lunch plate full of lots of little bits, so these are ideal. I've had a little taste (purely for road-testing purposes, of course!) and they're really delicious! Bert's favourite is the mini pretzels and fruity cubes flavour combo - Connie will devour any flavour she's given! Haha! 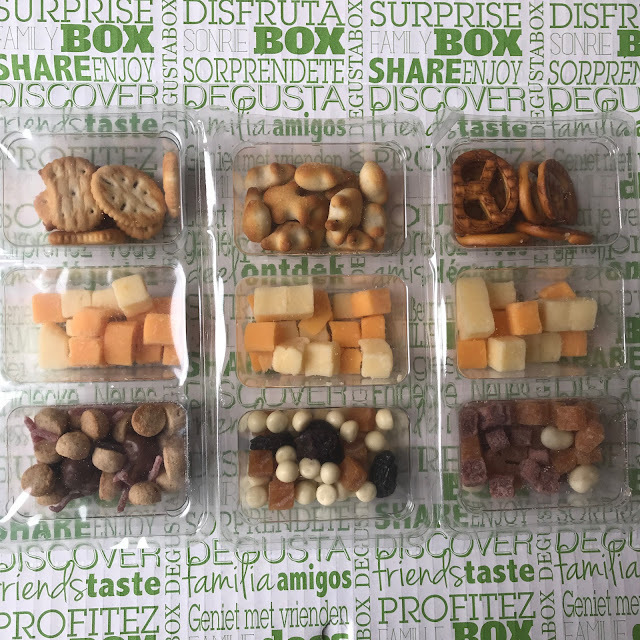 I love how practical they are - you can even re-seal them after you've opened them - which is ideal for kids who lose interest in their food but then want to go back a bit later. 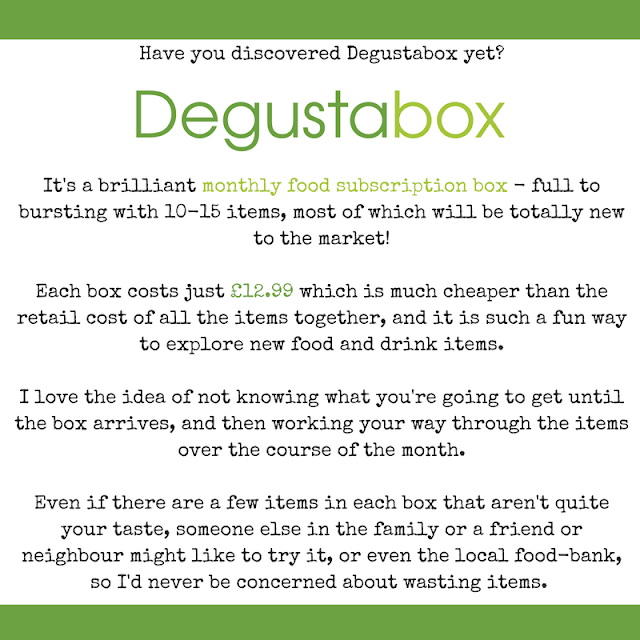 We love them so much that not only did we use every single voucher to pick up a free one in our box, but we've bought 4 or 5 in our weekly shop for two weeks on the trot! They will now become a regular feature in our shopping trolly. 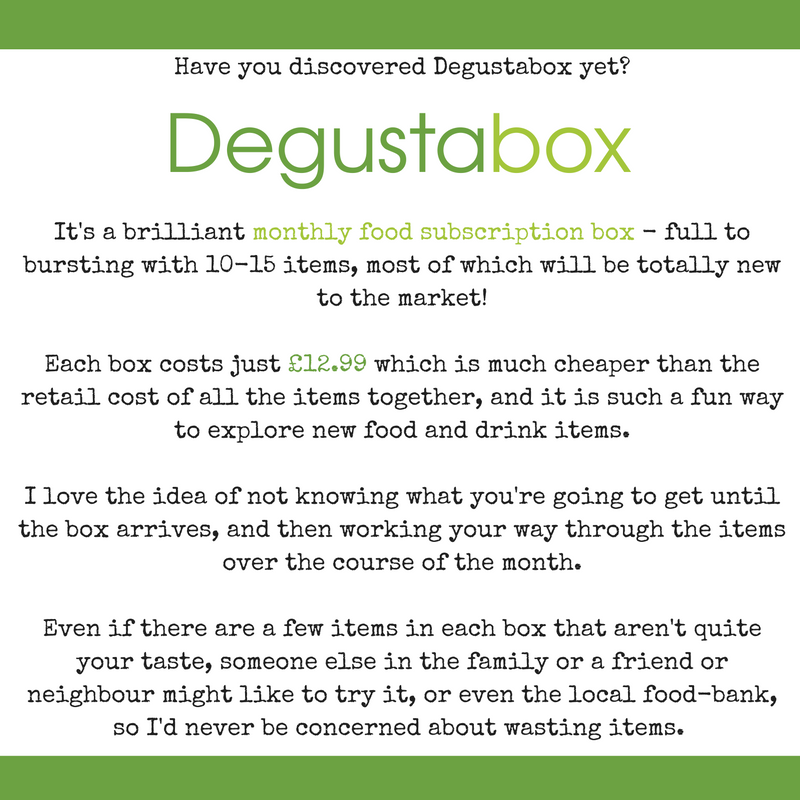 It's a huge thumbs up from The Bishop's for March's Degustabox - thanks guys, we enjoyed it a lot!